Frederic and Janet Chapin are now accepting essays in exchange for the opportunity to own their custom home, with 6,000 plus square feet of living space. Requirements include a 300 word essay and an entry fee of $140! The house is set on four wooded acres in West Bath, a quintessential town of 2,000 that sits between Casco Bay and the New Meadows River, their website states. 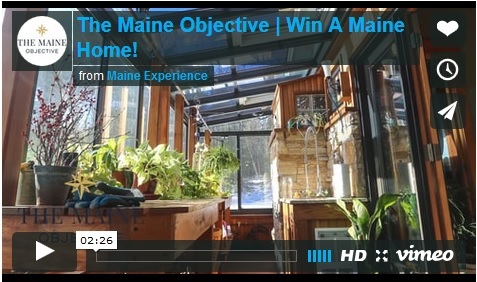 The Maine Objective | Win A Maine Home! from Maine Experience on Vimeo. Win Maine Real Estate – Requirements include a 300 word essay and an entry fee of $140!